Another a-mace-ing project… | Als Ik Kan Designs – Woodworking, Crafts, and More! In support of the design, which symbolized the partnership between Yale University and the National University of Singapore in founding Yale-NUS, we used two types of wood: elm and camphor. Elm is native to the United States, and New Haven, the home of Yale University, is known as “Elm City.” Camphor is found primarily in Asia and extract from this tree is found in lotions and ointments. This was our first time working with camphor, and we definitely look forward to working with this wood again. Not only does it smell incredible in the workshop, it machines well and looks absolutely gorgeous when finished. For the university seals and insert, we worked with Medalcraft, a company based in Wisconsin. 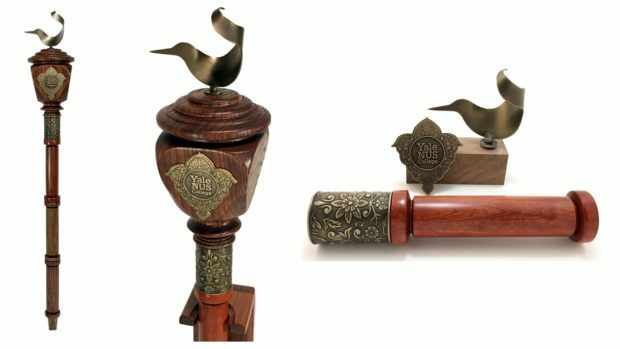 One of our favorite parts of the design is the abstract kingfisher that sits on top of the mace. For this piece, we collaborated with Jacob Novinger, a metal sculptor. He was great to work with and he is incredibly talented. Be sure to check out his site as he crafts some truly remarkable works of art. 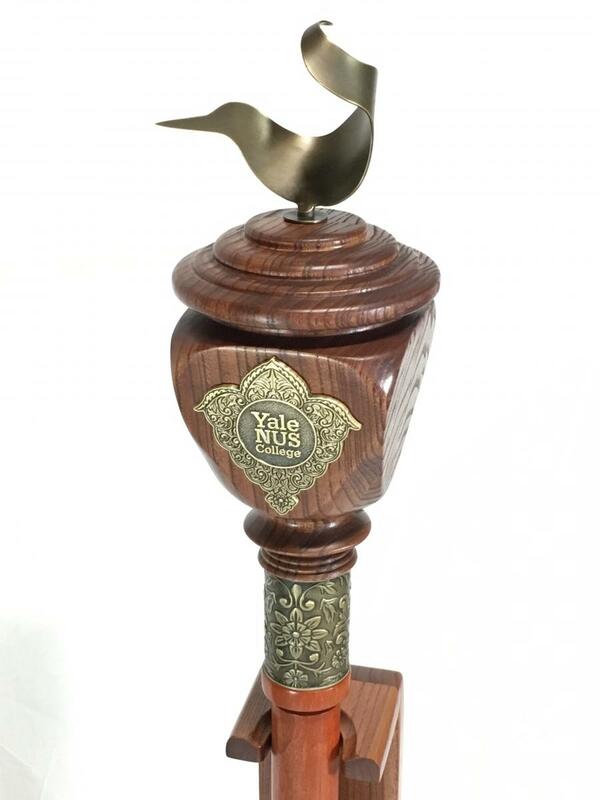 This was an exciting project, and we feel honored to have been a part of crafting Yale-NUS’s ceremonial mace. 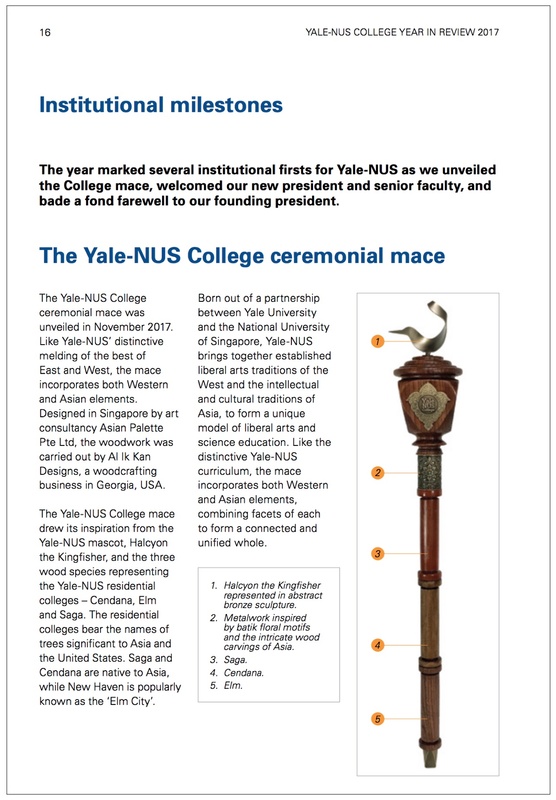 You can read more about the mace below in a page from Yale-NUS College’s Year in Review.